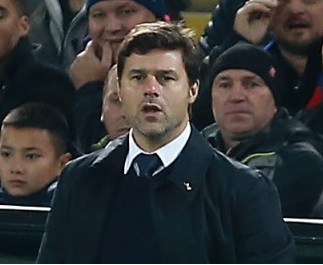 What is the problem at Tottenham this past few weeks? It began as a ‘Wembley curse’, then we were bombarded with stats about their record away to the big six after defeat at Arsenal. Another dropped three points at Leicester, and without wanting to form too much of a knee-jerk opinion on the basis of one game, they are now having to reassess their targets for the rest of the campaign. Assuming Manchester City beat Southampton this evening, Mauricio Pochettino’s men will be 16 points off the top of the table. Being undone by two wonder strikes from Jamie Vardy and Riyad Mahrez shouldn’t be too much cause for alarm – though both were arguably preventable. The Algerian should not have been allowed to cut inside with such ease, while the defence stood still to allow a boisterous Vardy into position. A few weeks into his absence, and the impact of Toby Alderweireld is being felt. Spurs continue to play with three at the back, yet without arguably their most accomplished defender. Eric Dier has played alongside Jan Vertonghen and Davinson Sanchez rather than in his preferred position as a holding midfielder – that, combined with Victor Wanyama’s spell on the sidelines, has spelled trouble. Dier and Moussa Sissoko seemed to be in competition with each other as to who could give the ball away the most times. Danny Rose’s deliveries were infuriatingly predictable. Very little seemed to go right, with embarrassing misses from Christian Eriksen and Fernando Llorente. The biggest positive, and indeed the only time when Spurs threatened to get back in the game, was following the introduction of Erik Lamela, who provided the assist for Harry Kane’s goal within minutes of coming off the bench to play a competitive game for the first time in over a year. The Lilywhites displayed all the fatigue associated with the Christmas period, but before their run of eight games in 29 days – an average of a game roughly every three and a half days. A trip to Watford this weekend is not the fixture they’ll have been hoping for as they look to get back on track.